The fight or flight response was first described by Walter Bradford Cannon in 1929 and describes the characteristic set of body reactions that occur in response to a threat or danger. 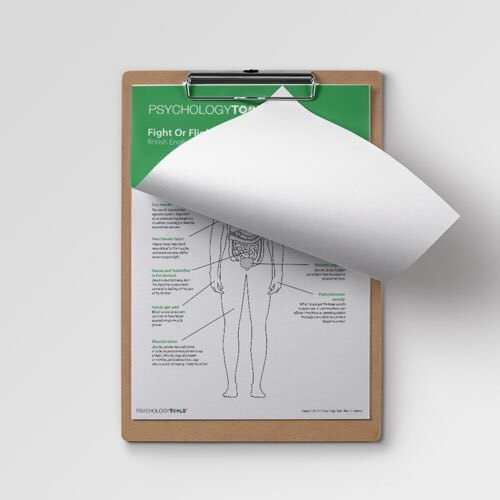 This response is a function of the sympathetic nervous system and is designed to prepare the body to fight or run away from the perceived threat, but can become over-sensitive in clients suffering from anxiety. 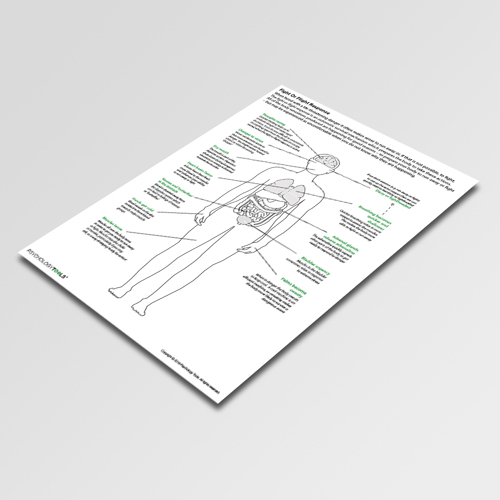 This CBT worksheet highlights the different areas of the body where the fight or flight response is felt most acutely and is designed as a client information handout. 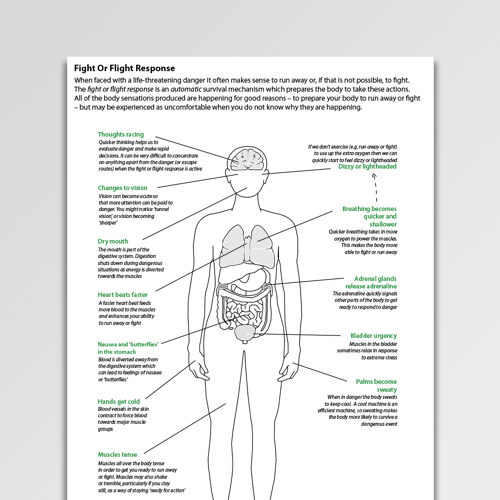 The Fight Or Flight Response information sheet describes the bodily changes most commonly associated with the ‘fight or flight’ response. ‘Fight or flight was first described by Walter Bradford Cannon in 1929 and identifies automatic bodily responses to perceived threat. These responses are evolutionary adaptations to stay safe in threatening situations. Clients suffering from anxiety often find that their fight or flight response becomes over-sensitive and experience the resulting symptoms as disturbing. 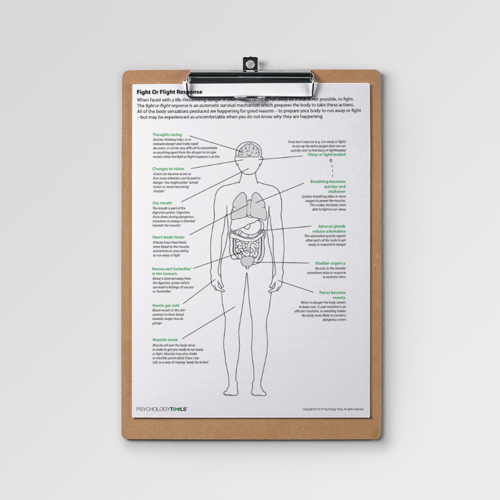 One helpful clinical approach is to teach clients about why and how these responses occur.